With the tremors from the psychic earthquake that was the weekend still rattling in my bones, it’s good to look back and pretend to myself that all of the psychological trauma I'm now enduring was worth it, and maybe even for a noble cause. Such noble causes can be found deep in the catacombs of The Hydra, Shadwell’s finest club for huge, battering ram line-ups of house and techno. 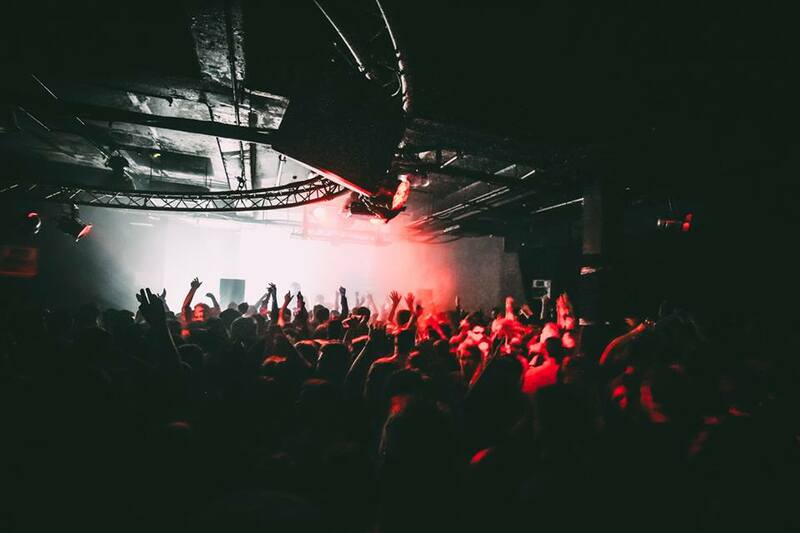 Which is the exact kind of line-up that Dekmantel provided on Friday night, with Motor City Drum Ensemble, Bicep and Prosumer adding serious heat to a wet and windy London night. Arriving into the Black Studio at around midnight, I managed to catch a bandana’d Young Marco effortlessly breezing through some classic deep house grooves to warm up a swelling crowd. The way he plays it looks like he never breaks a sweat, which considering how hot it gets in there is quite something. I thought I’d stay in the Black Studio a bit longer as Pender Street Steppers were on, and they really didn’t disappoint. They were in a party mood, and played a mix of funk, house and up-tempo soulful edits that had the whole crowd bobbing and waving their hands in the air. Taking a break from the crowded intensity of the Black Studio I moved over to catch a bit of Palms Trax doing his live set, which was chock full of thumping 808, acid and techno basskicks. This was carried on by more of the same kind of big room house from Bicep, who filled the warehouse with non-stop pounding techno for as long as my ears could take it. But I couldn’t stay around for long while the real star of the show was tearing things up next door. There's a reason Motor City Drum Ensemble is gaining more and more momentum with every month that passes, and it's right in front of you when he plays. He streams together house, disco, afrobeat and tribal rhythms seamlessly, and while the punters were reacting to it with frantic energy, it was nothing if not matched by the man himself. He never stopped bounding and leaping around the decks, his face alight with joy. It was a great pleasure to watch and was even more fun to listen and dance to, a real highlight of the night. Closing out the night in the Black Studio were the Dekmantel boys. Not to be outdone by the previous DJs, they were going back to back to back, which to their credit they almost managed to do. Obviously playing to a less full room, they still managed to keep a strong contingent of people not daring to miss the next drop or curveball track that was thrown out. It was a fitting end to the night; one that I have to say was dominated by the brilliance of the Black Studio, which is unusual for an event at The Hydra. With the dates just being released for Dekmantel Festival 2016, it looks like it won’t be one to be missed.